Dr. Rupert uses a combination of Gonstead, Thompson, Cox traction/distraction adjusting techniques in this office. When vertebrae are out of place, it has an overall systemic effect from muscular to the central nervous system. Without proper alignment and flow of all nerves and systems in the body from the brain, we can't function at our peak. 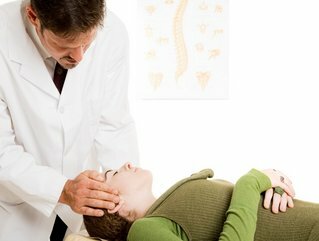 An adjustment is often a pressure from the chiropractor utilizing his hands or an instrument to move a vertebrae back into place. This happens with a quick movement and is most often without discomfort. You may hear a noise that sounds like you're cracking your knuckles referred to as joint cavitation. It is the release of gases such as oxygen and nitrogen from the joint. Overall, adjustments are an excellent way to keep the body functioning at its highest level. When the body is in alignment, it is able to respond and perform as it was designed to.